Okay, full disclosure…if it’s not obvious, we sell new boat trailers! 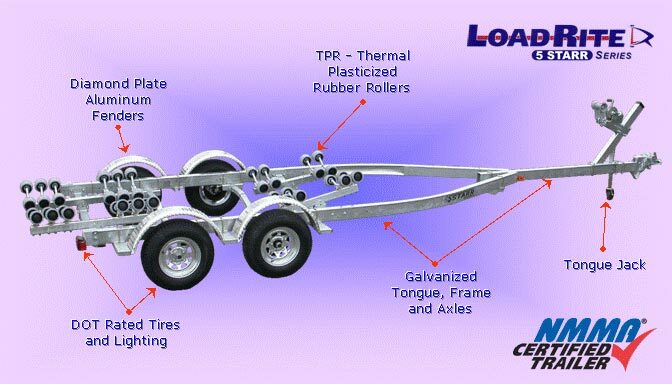 So there’s not doubt that when you’re looking for a boat trailer for sale, whether it’s a large or small boat trailer, that we’re going to hope that you’ll buy a new one. But we hope you’ll agree that we make a few good points when we suggest you buy a boat trailer that’s new. The frame: When you buy used, you have no way of knowing what kind of Canadian road the trailer was being used on. There’s also probably no way of knowing if the seller was using too large boat on too small a frame. All that extra weight can lead to stress fractures which aren’t always evident. The mechanical parts – How soon is that winch going to give out? Did parts that aren’t meant to be submerged for long periods in salt water get get submerged for long periods in salt water? Were the rollers or bunks left in the water for days on end? Again, not every type of damage shows up on the outside. The wheels: Similarly, were the wheels and tires left submerged for too long? Was grease ever applied to the bearings? Was the whole thing washed but then stored immediately with no air drying? If you’re wondering whether to buy a used or new boat trailer, close your eyes and imagine your boat falling off the back of your trailer and skidding to a stop in the middle of traffic. And imagine that sudden change of weight causing the steering wheel to jerk out of your hands. Then check out the newest boat trailers in Canada!